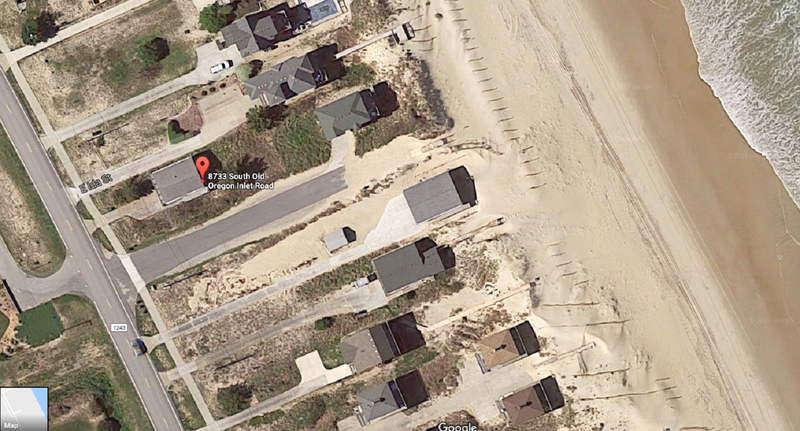 Address: 8733 S. Old Oregon Inlet Rd. 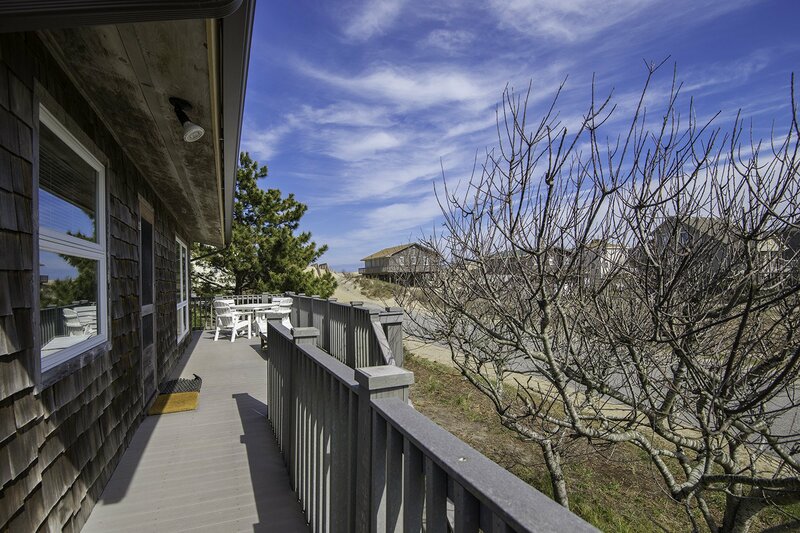 Cozy, comfortable & located only 150 feet from the Beach w/Direct Access, "Rogues Harbor" is a great vacation destination. Perfect for a small family, 2 couples or a romantic get-a-way, this cottage has an excellent location, is well equipped, & nicely decorated. 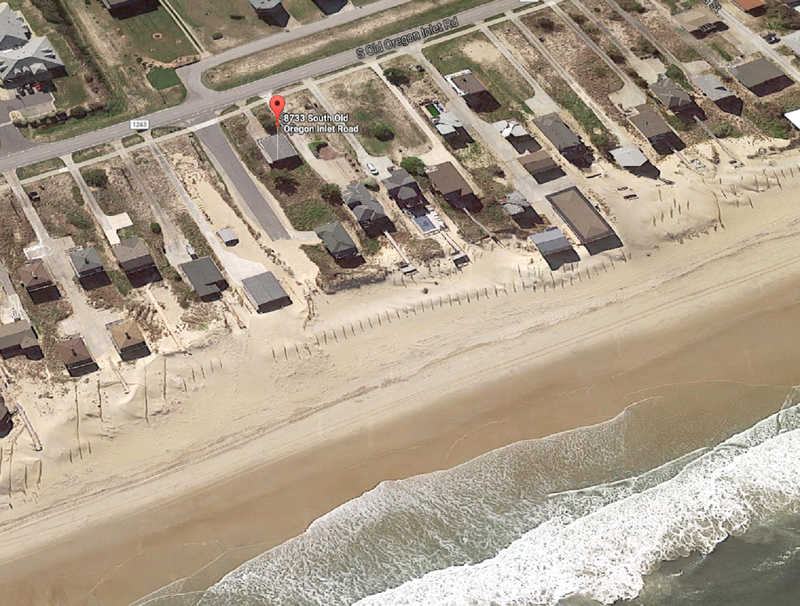 There is a multi-use path in front of the home where you can walk or ride your bike & the Outer Banks Pier & Fishheads is less than a 1/4 mile away. The beach in this area is wide & uncrowded & there are outstanding restaurants & great shopping opportunities located a short drive away in Nags Head. 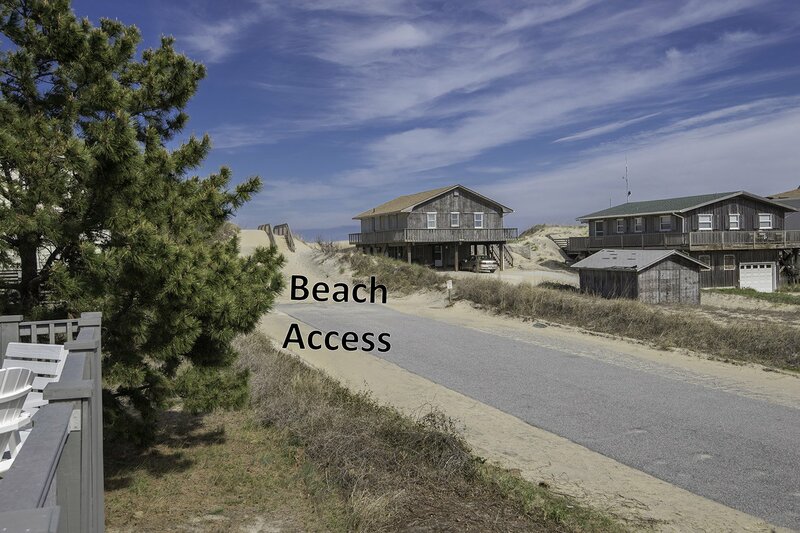 Enjoy peaceful days on the beach or take a drive south to the Cape Hatteras National Seashore where you will find expansive natural areas, undeveloped beaches & areas rich in history including the Bodie Island & Cape Hatteras Light Houses. Ground Level: Parking for 3 Cars, Steps to Entry, Utility Room w/Washer/Dryer, & Half Bath, Gas Grill, Picnic Table, Enclosed Outside Shower, & Fish Cleaning Station. Main Level: Living/Dining/Kitchen Area, TV, DVD, DVR, Stereo, Full Hall Bath w/Shower Only, 2 Bedrooms w/Queens, & Access to Wrap Around Composite Deck w/Deck Furniture. 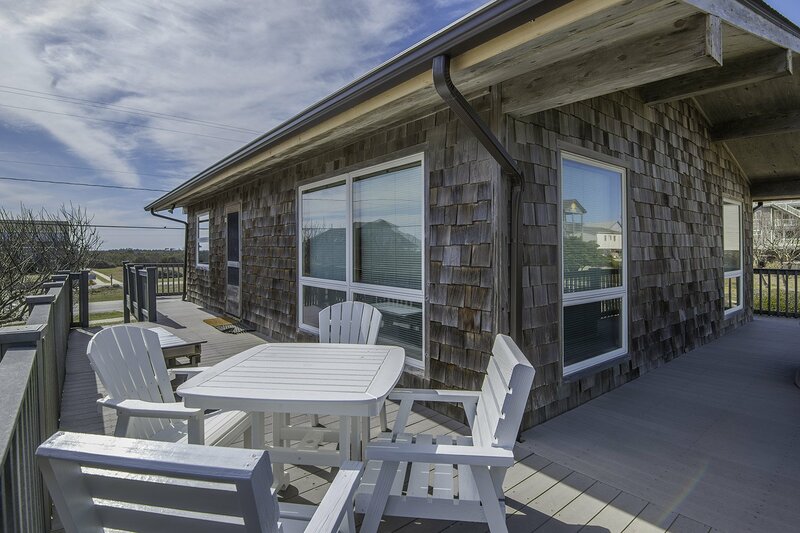 Features include: Sheltered Parking, C/AC & Heat, Washer/Dryer, Dishwasher, Microwave, TV, DVR, VCR, DVD, Audio System, Wireless Internet, Ceiling Fans, & Deck Furniture. No Pets. This is a Non-Smoking Unit. The location to the beach was wonderful! It was also nice having such great electronics, and there was a welcome gift waiting for us — very thoughtful touches! really enjoyed staying in your cottage. Everything needed for a stay at the beach was provided. Only thing I didn't like was the sliding doors were a little noisey. thanks for the opportunity to stay there. The house had nearly everything we needed for a lovely week @ Nags Head.